no matter what tutorials I look at I can't find an answer, ESP YouTube. Can someone help. Any advice about how I can only get one way point to look at POI and not all of them would be greatly appreciated. Sorry once again for all these litchi questions.. But YouTube has so far not explained it as detailed as I need. I mean what setting on mission setting do I need? And also I know how to set it up to take pics but would it automatically continue recording after the pic is taken or do I have to select that option too on every way point? Are you doing the mission on your tablet or in Mission Hub? I could be off on what your trying to do, but from my limited view it looks like you are using curved turns vs not. If so, it's good for smooth video but it does disable features; i.e., stop, pause, take picture, etc. My experience..default is north. If you chose NONE from drop-down list for each of the others they will face north. If you want them in a different direction, set another poi. Those screens show mission settings, not waypoint settings. 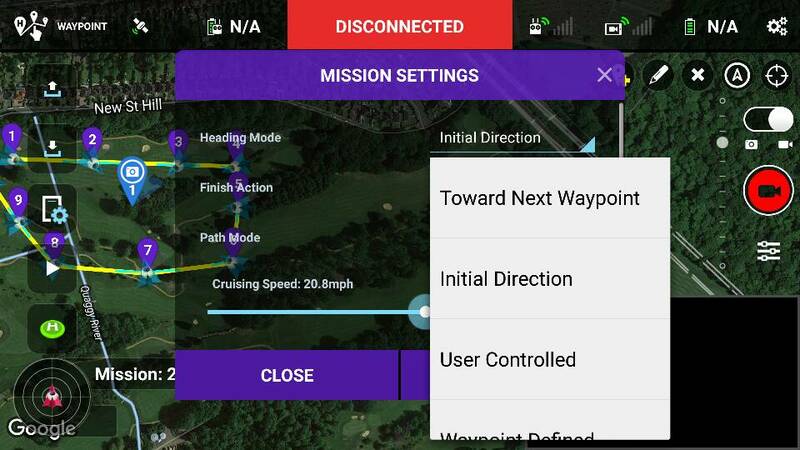 Set which POI you want the camera to look at each waypoint, not in Mission Settings. If you don't specify a POI for a given waypoint, it will look at the closest one. Sorry if I'm misunderstanding your question. Correct. 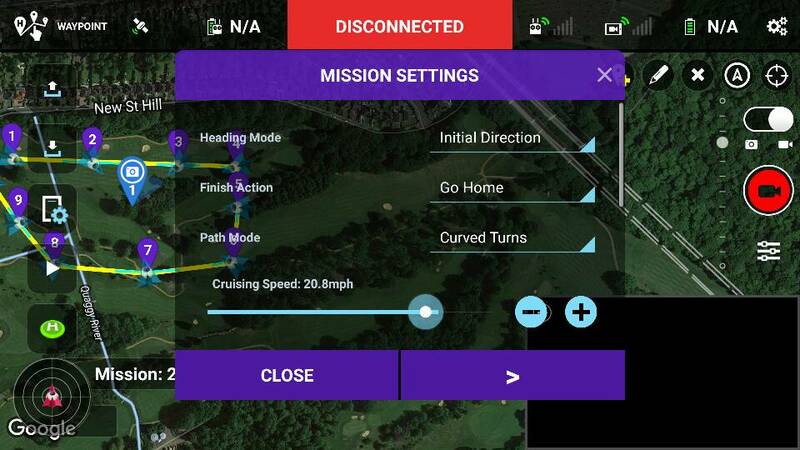 You should also see a number in that screen indicating which waypoint you would be adjusting settings for. Your screenshots are for "batch" waypoint settings which is for all your waypoints. Touch the actual waypoint you want to adjust settings for. That box that opens will be the settings for that particular waypoint. Good luck with your mission. And if you haven't, download and read the litchi manual. It's on their webpage. 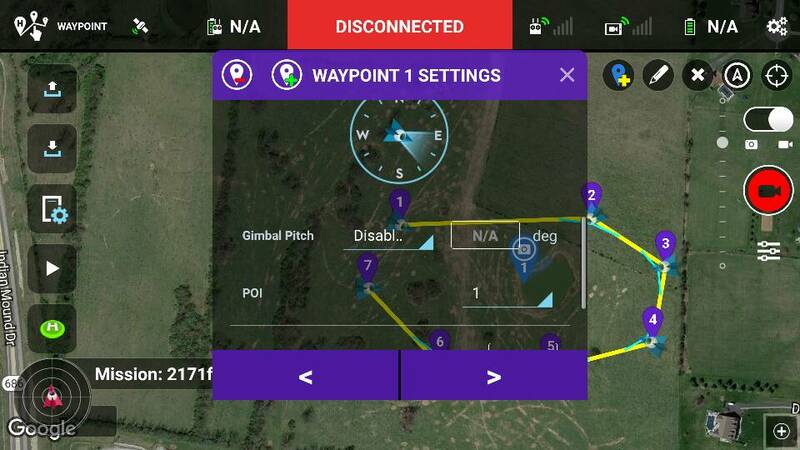 In your original question, you wanted waypoint 7 to look at POI 1, but you was not in waypoint 7 settings in the screenshot you posted.